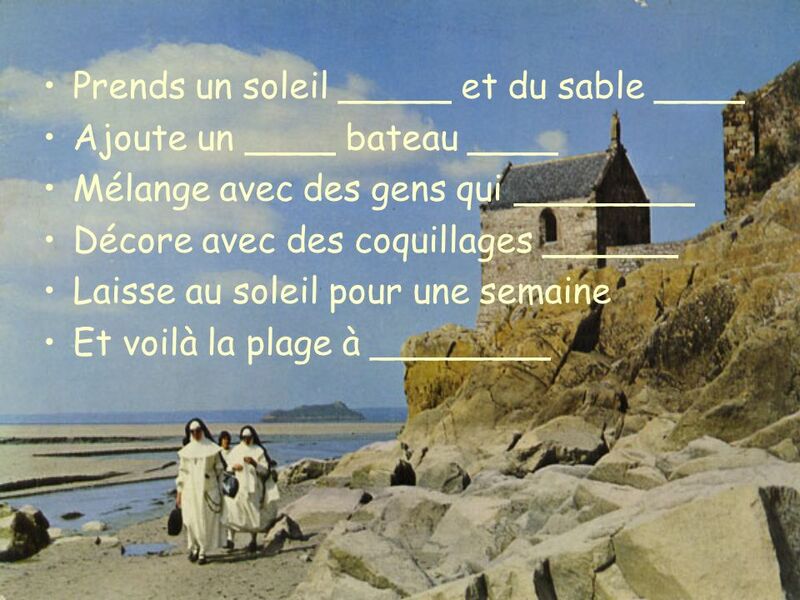 Writing frame la plage poem from Writing without a pen presentation Jo Rhys-Jones, September 2010. 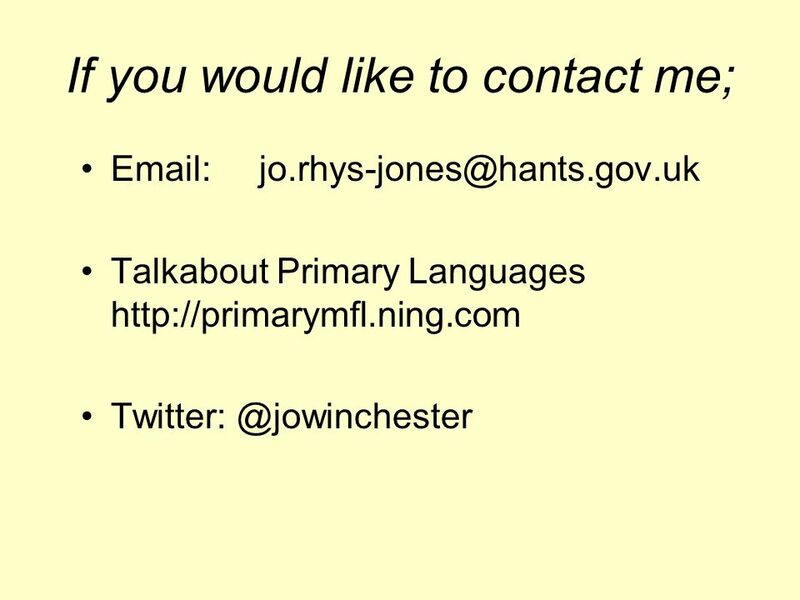 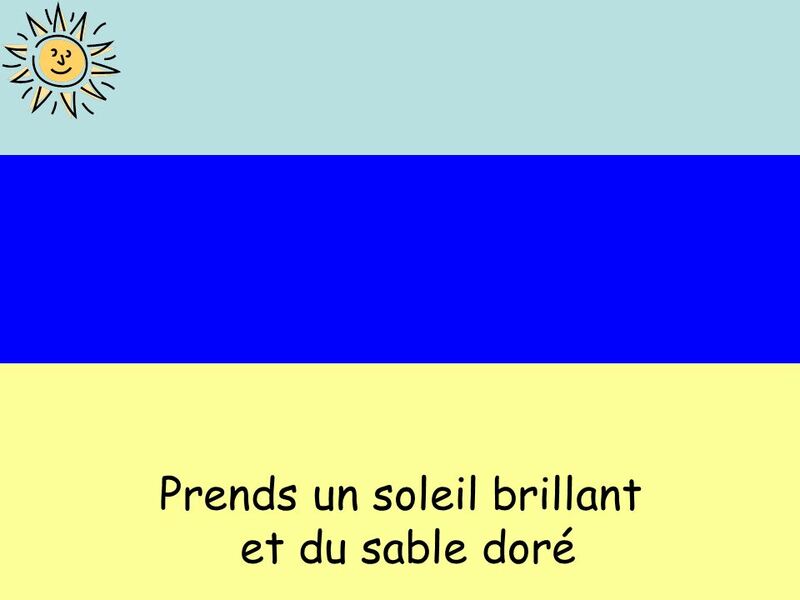 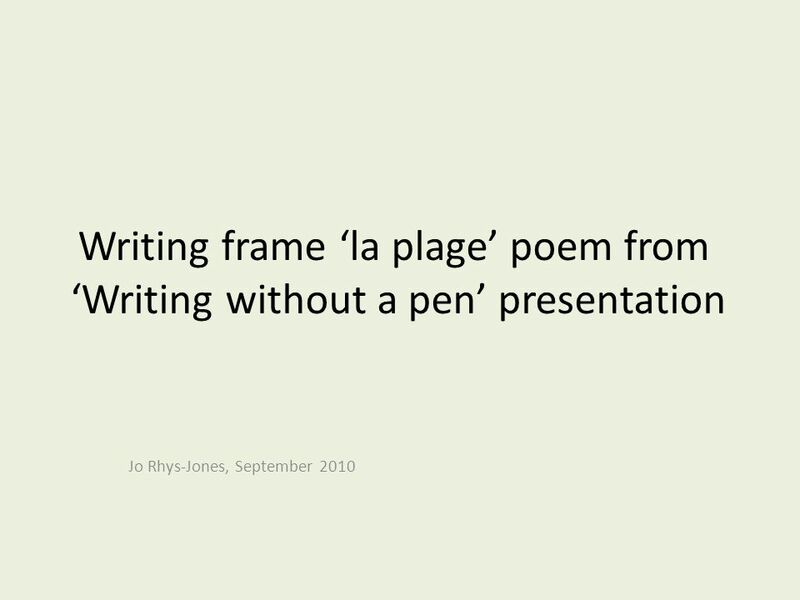 Télécharger ppt "Writing frame la plage poem from Writing without a pen presentation Jo Rhys-Jones, September 2010." 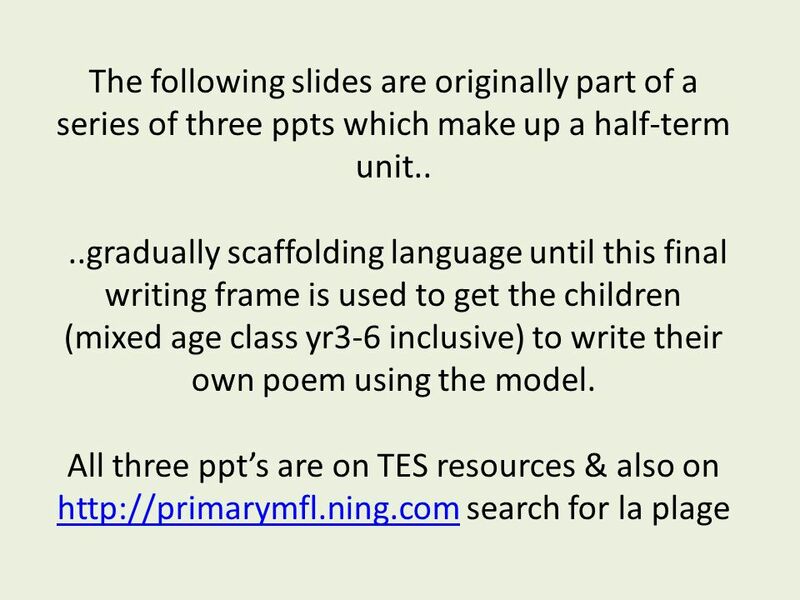 Poems To be successful students need a structure. 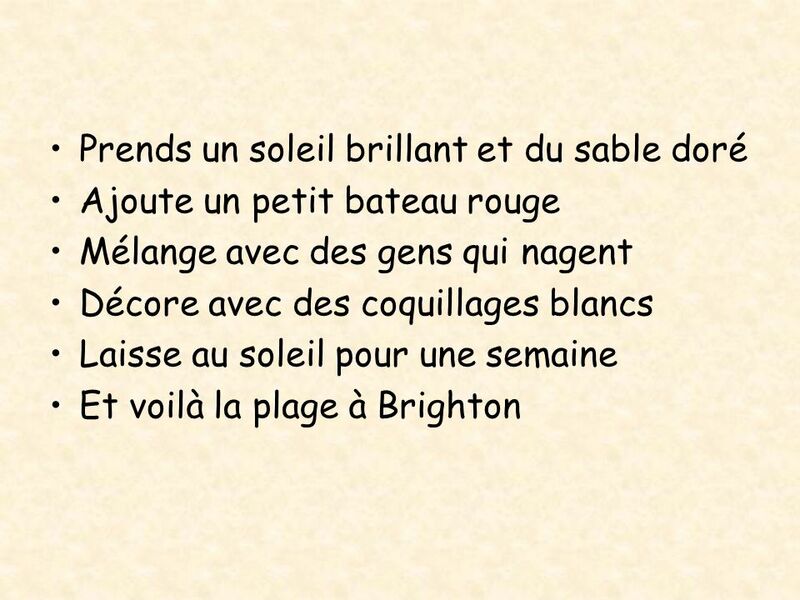 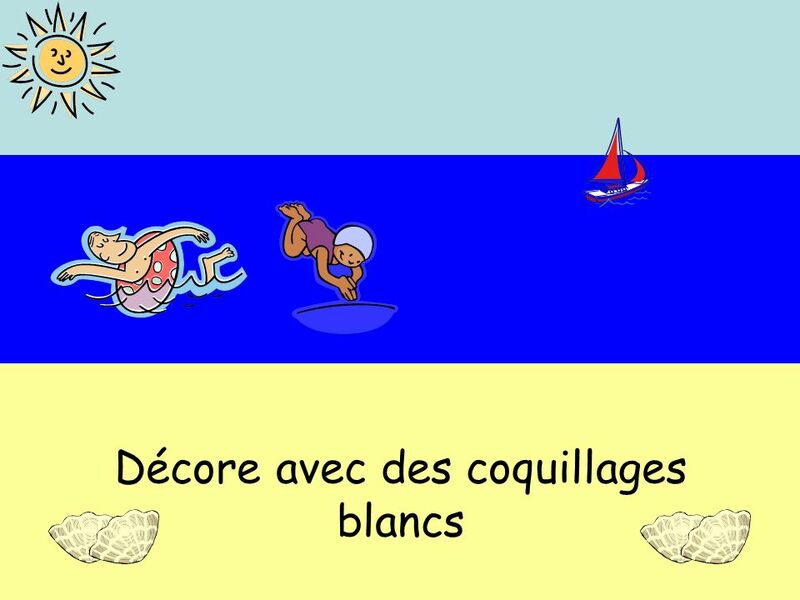 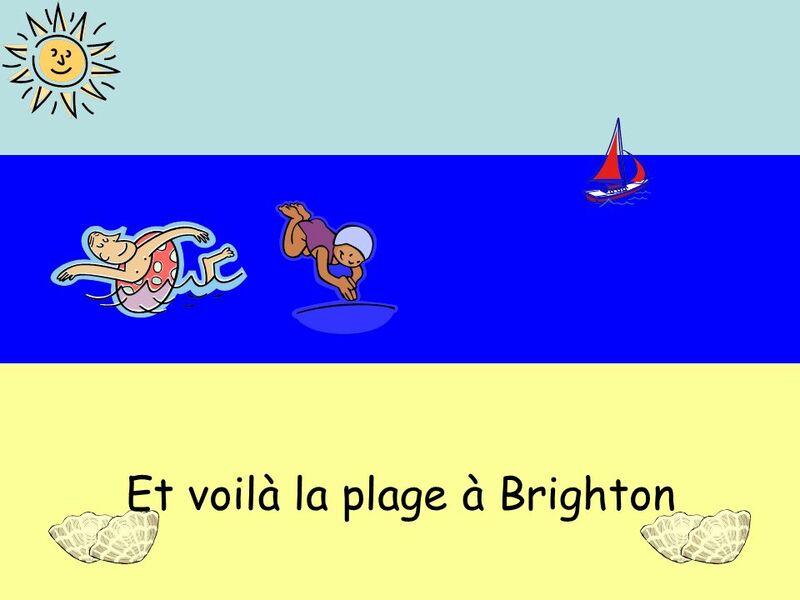 QCA Unit 16 – Scène de Plage (part 3d – a class poem) Jo Rhys-Jones - Kingswear Primary School 2008. 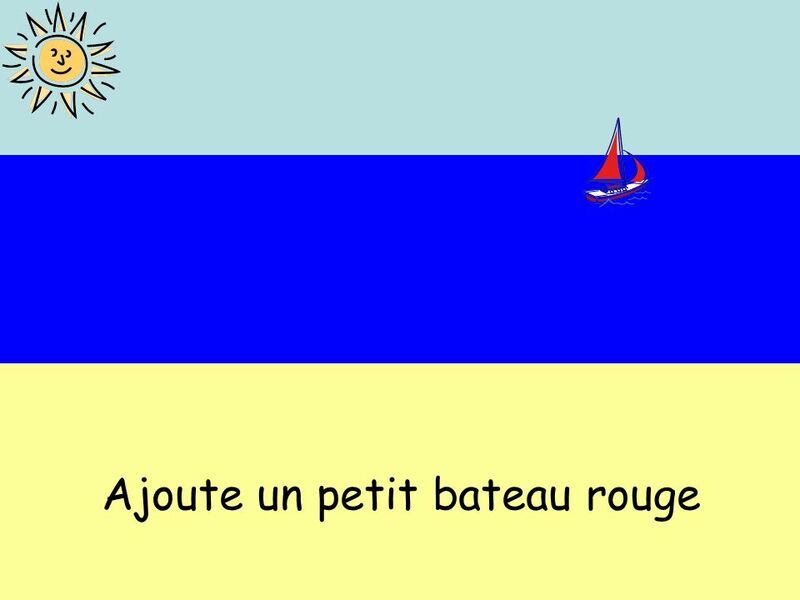 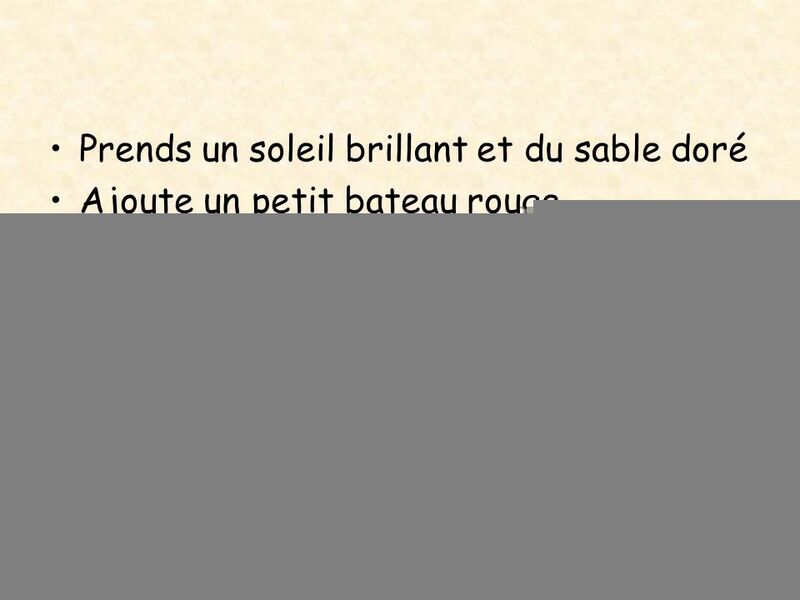 French suggestions for. 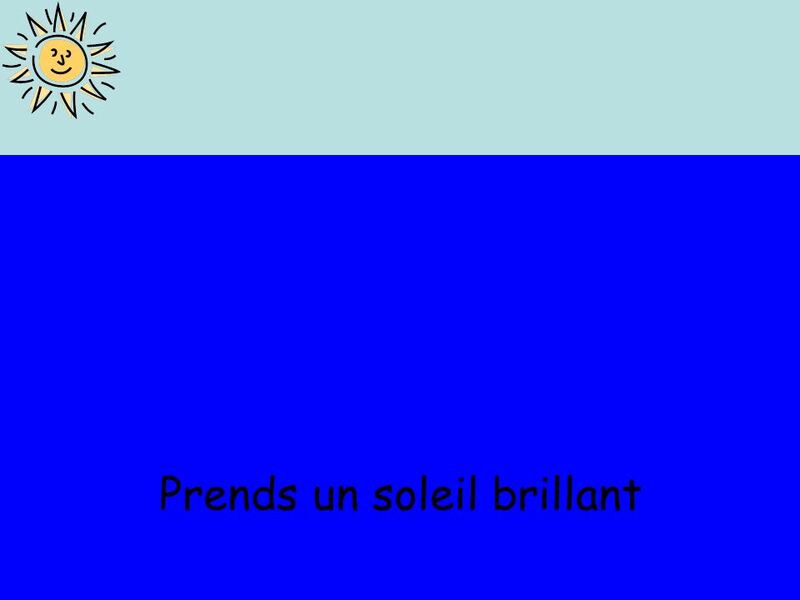 The first four poems are taken from posters originally produced by the following partners: with the support of. 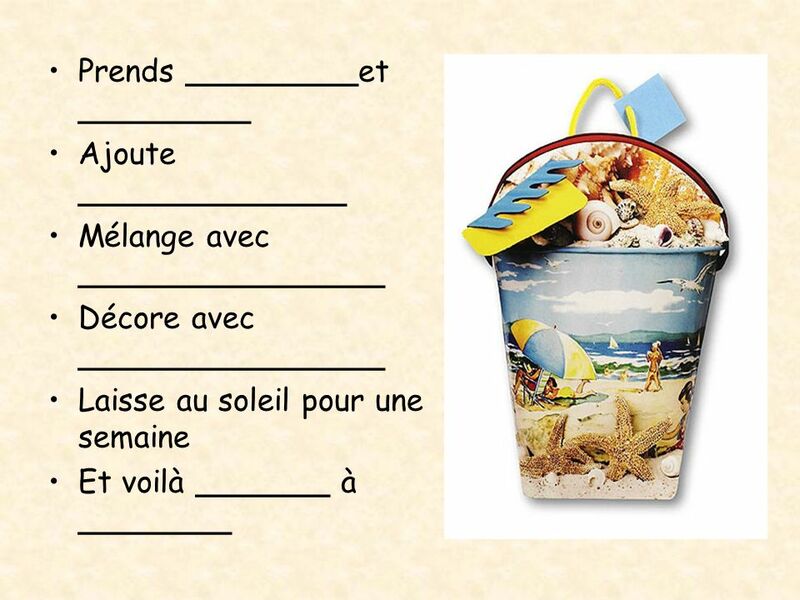 Essential Questions How can you express the verb “ to be” in French?